What is Auslandsgesellschaft.de e.V. - Buffalo-Dortmund Auslandsgesellschaft.de e.V. In 1949 the Auslandsgesellschaft.de e.V. (International Institute of North Rhine-Westphalia) was a civic initiative created by a dedicated group of people. It was born out of the trauma of the Second World War and sustained by a desire for understanding. These roots shape their goals to this day: a commitment to understanding between peoples based on humanity and tolerance. We’ve made it our goal to build bridges between people of different origin, between nations, social orders and cultures. The International Institute consists of 800 members, 17 corporate memberships and 80 volunteers within the framework of inter-nations societies. Hidden behind the term “inter-nations society” is a special form of civic engagement based on understanding between peoples, humanity and intercultural tolerance. The International Institute of NRW provides the framework for the free implementation of the content and forms of work in which their members are engaged. This is reflected in a varied program of events. The Institute provides both cultural and political events and study and language trips abroad. The socio-political focal points lie in the fields of immigration and integration, democracy and remembrance as well as European and international politics. International exchanges take aim at the following: discovering the world and experiencing different cultures, getting to meet people in their own political, social, cultural and linguistic environment and learning more in order to improve our understanding. 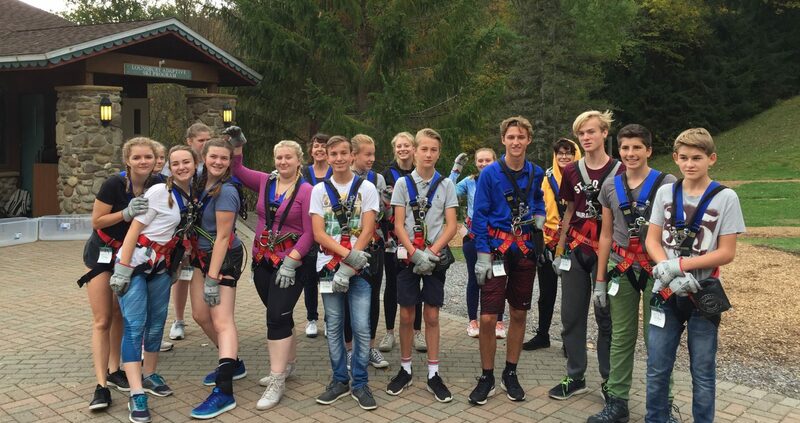 They organize educational trips all over the world and maintain several exchange programs with sister cities for young people, among those are a High School Program in Amiens, France, Building Bridges Germany-Israel, and the exchange programs between Dortmund and Buffalo. 40 years ago adolescents from Buffalo spent their summer in Dortmund for the first time. Since then the summer exchange and the high school exchange have become a yearly tradition. Although Canisus College and the University of Dortmund used to have an exchange program for their students, it unfortunatly wasn’t able to last. We are happy that we ware able to offer a renewed college student exchange program. Only last year Buffalonian students visited Dortmund during J-Term for the first time in decades. We are hoping the SUNY exchange program becomes as firmly establshed as our youth programs.